The Pizza Files: The Binge Part 15, unplanned bonus. This post probably should have been Part 11, but I couldn't decide if it warranted inclusion in the Pizza Files 2009 Summer Binge. Still recovering from my 8 day road trip, family call to ask if I would like to go out for dinner? Of course I do. 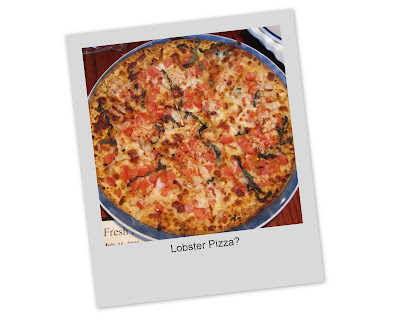 Red Lobster was the destination, and to my surprise they had recently added Lobster Pizza to the appetizer menu. That's how Red Lobster became Part 15 of the Pizza Files 2009 Summer Binge.